Travelling solo sounds like a lonely, dangerous activity, but with some common sense strategies travelling alone can be a great way to relax and have a vacation just for YOU. For many years I was a road warrior. I traveled for business (often by myself), vacation alone, and many solo road trips. By choice or necessity, travelling solo is a rewarding experience that I highly recommend. If given a choice, why would I want I want to travel alone? Single tickets – last minute concert and theater tickets for one are easy to purchase last minute, and often amazing seats! There were many times that I walked up to the box office for a (smallish) theater and was able to negotiate the price down for a single ticket for a performance that day. Several times this landed me in the first five rows! Mention that you have cash for better negotiation on the ticket price. A good friend told me how she scored a same day single ticket for Lion King, she was diverted to a cash only line and ended up with a better seat than non-cash singles in front of her. You are more likely for train and airline upgrades when travelling alone. It is so easy to take the travel vouchers for oversold/over booked flights when offered by airlines, there is less coordination involved with changing travel plans for one. Travelling solo is the ultimate choose your own adventure! Set your own pace – There is no early bird/sleeping in conflicts, or how late you want to stay out. Deciding when and where to eat is easy. No waiting for anyone else when you are ready to eat, and food for one is very fast (dessert is all yours!). Solo travel is ideal for art galleries and museums, where there is no pressure to rush through an exhibit, and no waiting to leave when you are done with an activity. In fact, there is no pressure to go or stay at an event or activity that you do not like! Downtime is when and where you decide, for as long as you want. Go Incognito – It is easy to blend into the background to people watch and observe activities when solo. Sometimes it is nice to quietly sit and soak in the culture of a new place. Armed with coffee and a book, I would find a bench to sit and watch – this is also a handy trick to plan the next activity discreetly. Before the built-in camera phone and selfie stick, I was stuck asking someone to take my photo, or skip it. Now I have more control over the photo results and can travel in remote areas alone with photographic evidence of my journey. Confidence – the more I traveled solo, the more confident I became. I started travelling alone in the US (my native country) for single day trips. I was close to home and I always had a plan to get home for the night. My first trip out of the US was to the Bahamas, which is still close to home and English speaking. When presented with the opportunity for a short-term work assignment in England, I jumped at the opportunity! Even if you are travelling with a group, you may still have the opportunity to branch out on your own. Before you commit to an entire vacation alone, try spending the day alone. You are travelling alone, now what? Table for one? When eating out, opt for a place that serves the full restaurant menu at the bar. The bar staff/waitstaff tend to be understanding and attentive to solo diners. On weekends and busy season, eat early or later for better seating. Some restaurants offer communal or group seating, this is especially common in Europe and gaining popularity in the US (True Food Kitchen offers community dining). If your do end up sitting at a table for one, ask for a table near a window. My favorite Russian restaurant in London would always seat me against the wall near the front window, it was the best people watching and out of the flow of other diners. Since I ate there every week, it became “my” table, and the waitstaff treated me like a princess! Of course I tried new cuisine and places to go, but if I ever had a bad day or felt lonely I would go to one of my regular restaurants as my go-to comfort zone. Just one room key? Checking into hotels by myself was a bit awkward at first. No need to explain or apologize upon check in, just state matter of fact that it is just you in the room. Get two room keys, one for your wallet and the other for a pocket or laptop case as a spare to reduce the risk of being locked out of your room. Travelling in a group or alone, here are my Top 10 Travel Safety Tips. Stay alert and act confident. I am extra cautious traveling alone, especially with money. Before going to any outdoor markets or area where many people are watching you spend money, duck into a bathroom to count money or get money out for an upcoming transaction, put that money into your pocket so you do not need to access your wallet. Spend money discreetly without drawing attention to your self. Go into the bank when you need more money and avoid ATMs when possible. American Express has foreign exchange offices throughout Europe and worldwide for cash currency and other travel services. These offices are safe & secure, and the staff are friendly and helpful. The next time there is an event or activity that interests you, but you cannot find anyone to join you, go solo! 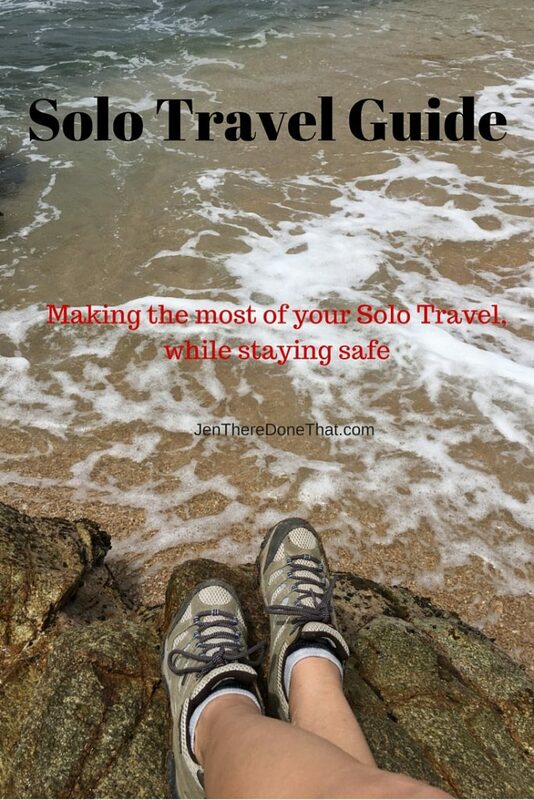 You may just find that solo travel is your new favorite way to travel! Special thanks to my friends Evette and Cory for their input. These 2 ladies are expert foreign & domestic solo travelers. I think the most solo travel I will do is traveling with out my husband with the kids. I would love to go to places by myself or with a friend. We do not travel solo, as we are married, but I think many of the same ideas for solo travel apply to those who travel as a couple. We can set our own pace, as there is no one back home waiting for us, and our confidence in each other and our marriage grow with every obstacle thrown in our way while traveling. You are completely right – there are many advantages to travelling alone. I’ve done it several times – taking off to Dubai and Sri Lanka – three or four months at a time. And yes, you do meet people when you are away and have a great time. But for me, travelling became so much better when Tom agreed to come with me. Now I can share my adventures with my best friend – controversially, I’d never pick solo travel over going with someone else. It’s not always what its cracked up to be – it can be cripplingly lonely, tiring having to rely on your own wits all the time and friends you make can sometimes just be fleeting ones. You have stated all my reasons of travelling solo so beautifully. It is so addictive! I am glad I chanced upon this article. I glad I chanced upon this article. I always had on my bucket list “solo trip” but never really thought about it until recently when I was about to make my first solo trip. At least it was a kind of a worrying thought but the more I planned and thought about it, the more excited I was. Sadly, it did not go through. But now I know, I really want to do a solo trip and soon! This is all good advice, especially about eating at a bar. This is the end of my fourth year solo traveling and it has made me much more confident. I’ve even traveled in countries where I don’t speak the language and it’s all been fine. Indeed! Even with a partner, I still find myself traveling solo once in a while. It is great way of knowing one’s self and the places around as well. Thanks for this, Jen! Travelling on your own can be a great experience not only because you get to know places at your own pace but also because you have so much time on your own that it allows you to know yourself at a deeper level. Traveling solo has its pros and cons, traveling solo definitely makes for a lot of introspection and unique experiences. Some of my most exciting travel experiences were some solo travelling, and I quietly enjoyed them. Why? Because I was by myself, enjoying the background and doing whatever I wanted without anyone bothering me. I guess, it’s exactly what I though when I though it’d be hard to travel solo. Sure sometimes you get lonely, but it’s such an amazing experience! You get so much more confident and you get some friends along the way! Really nice post! There are many of people who don’t travel only because they haven’t got a person to go with. Maybe it will be an inspiration for them. Personally sometimes I’m half-solo traveler when I accompany my fiance in his business trips. I have to organize my day then and I usually explore the new place first in my own… And I learned to like it. It’s pretty relaxing actually. I have never travelled solo and can understand how this could be a real confidence booster. Maybe one day I will gather up the courage to try it. Heck traveling alone RULES! I love it! You can do whatever you want, eat what you want and only go places you really want to go. And if you get sick and have to rest, nobody’s gonna blame you! Love it and couldn’t agree more! I love traveling alone…until I don’t. It eventually gets really lonely and I start yearning for a community and a routine. Solo travelling has really made me explore my inner self. I’ve fallen in love with the idea of just travelling by yourself without a schedule or agenda learning things, meeting new people, absorbing cultures all at your own pace. That is why I love solo travel! I’m spontaneous, and I want to take that opportunity to see more! I must be selfish, too! I love being able to set my own agenda and linger or leave when I feel like it. I do no like to be rushed, or to wait on anyone! Some of my most exciting travel experiences have been when I’ve travelled alone and made new friends! What I love about solo travel is that it forces me to talk to new people and be a little more adventurous. I still hate eating alone though! I had to learn to love eating alone. My trick is to sit at the bar and people watch, dinner and a show! One of my best trips ever was alone, I ended up making a friend whom I’ve kept for years and years now – what a bonus. Neither of us had accommodation so we shared a small unit on Gili Island, then backpacked together. Megan – I love this! You never know when you are going to meet a lifelong friend. YAY! I know many single parents that still travel with their grown-up kids! They also enjoy solo trips after the kids are grown. Time flies and you will be travelling on your own missing your kids in no time. Travelling solo can be done by anyone. NYC was the site of my first solo trip. It is a wonderful place to wander around, whether through parks, museums, or simply neighborhoods, and it is a joy to be alone in such cases, because you set the pace. You can sit when you’re tired, grab a bite when you’re hungry, and leave when you’ve had enough, all negotiation-free. It might be nice to bring a book to read for those times when you need to put your feet up. 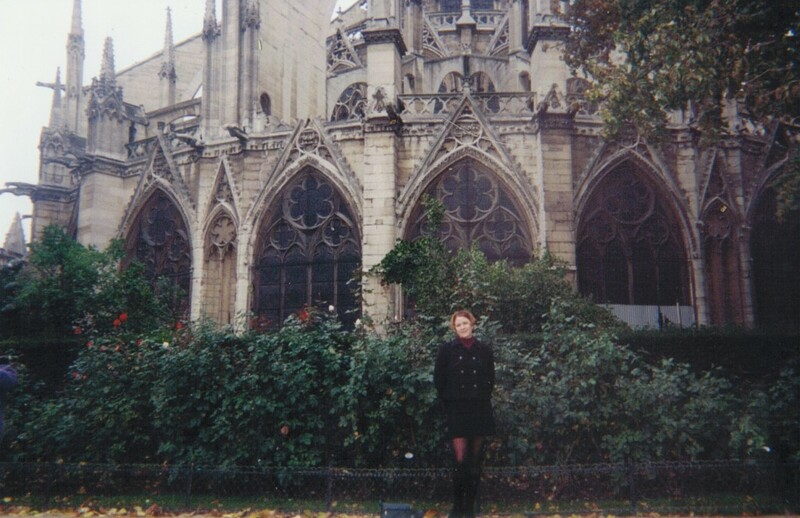 I’ve been to a lot of tourist attractions, too. I visited some museums, Time Square and Statue of Liberty. I also went to a lot of diners and clubs and I watched free concerts at Central Park after checking out the NYC Parks website. By the way, I found a website listing free events in New York which is great because I didn’t have much of a budget. I think FreeEventFinder.com might be useful to people also visiting New York who are looking for free things to do. NYC is a great place for solo travel! People watching is my favorite free activity there, but I am sure there are plenty more.